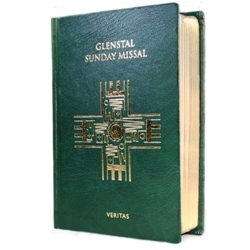 This ever-popular Irish missal from Glenstal Abbey has been reissued following the revision of the Roman Missal. It again covers the three liturgical years, containing all readings, along with personal pieces of reflection and meditation from Glenstal's Benedictine monks, as well as the Order of Mass. Hardcover with gilt page edges and six ribbon markers, 1287 pages, 4 5/8" x 7"
Glenstal Abbey is a Benedictine monastery founded in 1927 in County Limerick on the south-west coast of Ireland. A 500 acre estate with streams, lakes and woodland paths surrounds a Norman-style castle built in the 1830s. 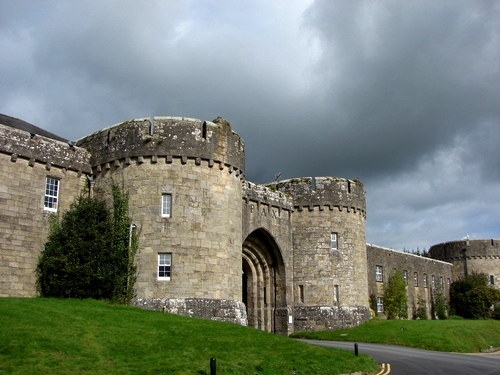 The Abbey, which is dedicated to Saints Joseph and Columba, is home to 50 monks. Prayer and liturgical celebration combine with managing a boarding school for boys, a farm, and a guest house. The Abbey is known for its collection of Russian and Greek icons and for its many chant and music recordings. Oct 4, 2016 | By Mary L.
This is a lovely missal. I find it beautifully put together with many additions to enhance prayer.